VietNamNet Bridge – The Ministry of Education and Training (MOET) is building up a plan on removing the governing mechanism to be applied on a trial basis at three universities. However, leaders of the schools admitted they still do not know what they must do. The removal of the governing mechanism was mentioned many years ago. Resolution No 14 in 2005 on reforming Vietnam’s tertiary education in the 2006-2020 period stipulates that Vietnam will ‘remove the governing body mechanism’ and build up the ‘state ownership representative mechanism’ for state-owned universities. However, MOET just kicked off the plan. Tran Van Top, rector at the Hanoi University of Science & Technology, said a taskforce is in charge of compiling the plan. It took the school two months to write a plan on running the school under the autonomy mechanism in accordance with Resolution No 77 released in 2016. However, Top thinks it would take much more time to draft the plan on removing the governing body mechanism because this is an unfamiliar issue in Vietnam. Top said he still cannot imagine the favorable conditions and difficulties when implementing the plan. MOET Minister Phung Xuan Nha had a working session with three universities, but many things need to be discussed. 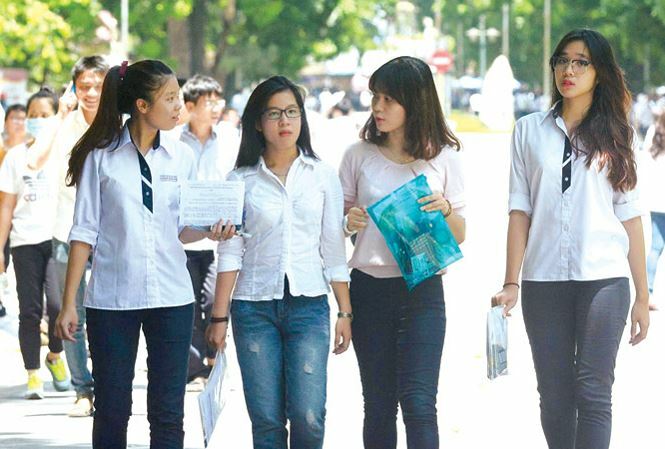 Two national universities (Hanoi and HCMC) have not had governing bodies since 1995 and the Textile & Garment University has also escaped from the governing body – Vinatex – for the last few years. However, the removal of governing bodies of the three universities will be different. According to Top, since the school began running under the autonomy mechanism according to the Resolution 77, it has had self-determination rights. However, as the governing body still exists, the school still has to ask for its permission in many cases. Only when the governing mechanism is removed will the school be able to become fully independent. “The school will have the right to determine public investments and appoint personnel, and be independent in discipline,” Top said. “We will also be able to work directly with relevant ministries and branches without having to go through MOET as we now do,” he said. According to an official of MOET, schools must meet some requirements to be able to follow the non-governing body mechanism. They must operate on the autonomy mechanism in accordance with Resolution 77. The school councils must be established and work effectively. They also must receive accreditation. And fourth, they must have plans to operate in accordance with non-governing body mechanism. Once the governing mechanism is removed, MOET will only determine the establishment of school councils which includes one representative from MOET, and will appoint the chair of school councils.